Give Greece a wire brush write-off? When it comes down to it, if they’re honest, the Germans will probably admit in private that there isn’t a hope in hell of Greece paying back its debt. They’ll also admit that the debt isn’t really the problem. The real problem is that Angela’s hard line is beginning to take on the same golden calf standing in German politics as the commitment to restoring the national language is here. Except unlike us, the Germans tend to mean it. We forget that for every Greek worker waving a sign saying “We are not a German colony” there’s a German worker happy to hold aloft a sign saying “Not a cent of my taxes, Angie!”, and unlike the Greeks, the Germans actually can remove her from office. A bit of imagination will be required. It’s all well and good signing memorandums of understanding, but nobody really believes them. You have to make them do something so humiliating that other countries baulk at the idea of requesting the same deal. For example, letting Brussels nominate the head of Greece’s tax collection authorities, and the head of its public service, and maybe even its finance, labour and justice ministers. Extreme? Yes. Humiliating? Definitely. Worth a hundred billion of a write-off? Hmmm. Would the Irish, Spanish or Italians concede the same? I doubt it. Sure, the wags say that Greece and Italy did actually let Brussels nominate their prime ministers, but this is much bigger. This is actual direct control. Would we allow Olli Rehn be appointed to the Seanad and then made Minister for Taxation and Public Sector Reform for a €30 billion write-off? Sure, we announce, until he tries to bring in, say, Swedish tax transparency where everybody’s salary and tax is published online. Or tries to get us to pay for, God forbid, the actual amount of water we use? How would our political class react if Brussels demanded that all our junior ministers not be members of the Oireachtas, but people technically knowledgeable of the portfolios they are covering? How would learned colleagues in the Kings Inns react to a Dutch justice minister announcing that he was abolishing the difference between Irish barristers and solicitors? Good God man, an affront to democracy! There’d be wigs flying everywhere in indignation. Suddenly €30 billion would become a mere metaphysical construct, something that pales into insignificance when your real live water bill arrives and the minister thinks nothing of turning off the water supply if you don’t pay, and doesn’t know or care who Joe Duffy is. Yeah, the demonstrations will be all “national sovereignty now!” but the truth is that we wouldn’t want that nosy bloke from down the road looking up how much you actually earn and pay in tax, or that you don’t declare to the Revenue that mobile home you rent out every summer. And that’s the problem: the Greek compromise by its very nature, whilst relieving the actual pain of the Greek people, has to humiliate them to ensure that the rest of us don’t ask for a portion. We’ve got to wheel a lovely big wooden horse up to the gates of Athens, and everybody has to know what it means. A few awkward things about the Greece situation. 1. It is indisputable that ordinary Greeks are hurting hard, as their economy constricts and public spending is curtailed. Ordinarily, lending Greece money to help them through a rough patch would be the decent thing to do. 2. However, Syriza seems far more interested in maintaining a public sector that Greece can not afford under its own resources, rather than figuring out a way of creating wealth to fund public services. Austerity is another word for maths. 3. Every country in the EU is a democracy, not just Greece. For every Greek on the streets demanding an end to “austerity” there’s a Finn, German or Dane telling her elected representatives “no more”. Greek democracy isn’t better than anyone else’s democracy. 4. The Greek referendum result should be taken for what it is. Yes means “We want to stay in Europe”, No means “We’ll take our chances”. Both results are legitimate, so please, spare us the No is a great democratic victory, Yes is a bullied people. The Greek people will vote in their own self-interest, as we do when we vote on EU treaties. 5. The Euro is flawed in design. We either go for a federal union, or this is going to happen again. 6. Greece should not have been let into the Euro in the first place. 7. Ireland is full of people and parties calling on other countries to give THEIR money to the Greeks. There’s then a lot of looking at shoes and out windows when they’re asked about giving our money. Same with Mediterranean refugees: great at demanding other people house and feed them. If people could eat guff and “solidarity”, the Irish Alphabet Left would have fed the Greek people ten times over. 8. Still, at least we’re getting a glimpse at Richard Boyd Barrett’s Ireland. 9. Having said all that, Greeks are going hungry and without medicine. I’d support the EU, using my taxes, setting up emergency relief centres to get aid directly to the people who need it. Just not through the Greek government. We need to show the Greeks that yes, they are our fellow Europeans and we do actually give a s**t. An EU without Greece is a poorer EU. 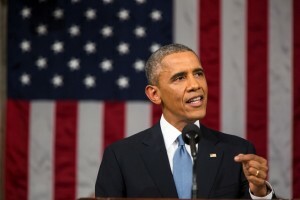 President Obama, to avoid making political capital on a tragedy, condemns the next mass shooting in the US before it occurs. President Obama, aware of not wanting to impinge on the personal suffering of American families who are not yet suffering from losing friends and/or loved ones in a mass shooting that hasn’t happened yet, has issued a statement condemning the as yet not occurred gun attack. The National Rifle Association has condemned the President for making remarks about a hypothetical mass killing involving yet another weapon being used by a person who really shouldn’t be allowed own a mobile phone, never mind a firearm comparable to those used by most other countries military forces. When asked about the fact that the NRA actually has established media procedure to deal with mass shootings, the spokesperson pointed out that plenty of people enjoy wargaming, and that if NRA employees just happen to enjoy such a social event, that’s their business. This guy is a good president, and the Republicans just can’t stand it. First they couldn’t believe a black guy named Barack Hussein Obama was even daring to run. Then they couldn’t believe he was born in the United States. Then they couldn’t believe that he won. Then they couldn’t believe he passed Obamacare. Then they couldn’t believe that Osama Bin Laden was hunted down on his watch. Then they couldn’t believe he appointed liberals to the Supreme Court. Then they couldn’t believe the economy actually grew, and unemployment fell. Then they really couldn’t believe he was re-elected. Then they couldn’t believe Obamacare started working. They can’t believe he hasn’t created a Muslim atheist socialist dictatorship. 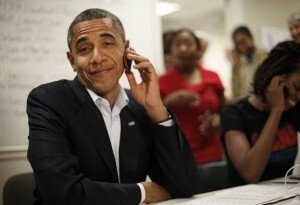 Then they couldn’t believe the Supreme Court ruled that both Obamacare and gay marriage were legal. Now they can’t believe that not one candidate seeking the Republican nomination for President holds the same opinion on gay marriage as the majority of the American people. Barring getting caught chasing an intern around the Oval Office, this guy is going to leave office with the country in better shape than he found it, more liberal, and leaving the main opposition party running on a platform of weird minority social views, worrying publicly about the oppression and hardship of billionaires, and wanting to take healthcare off sick people. 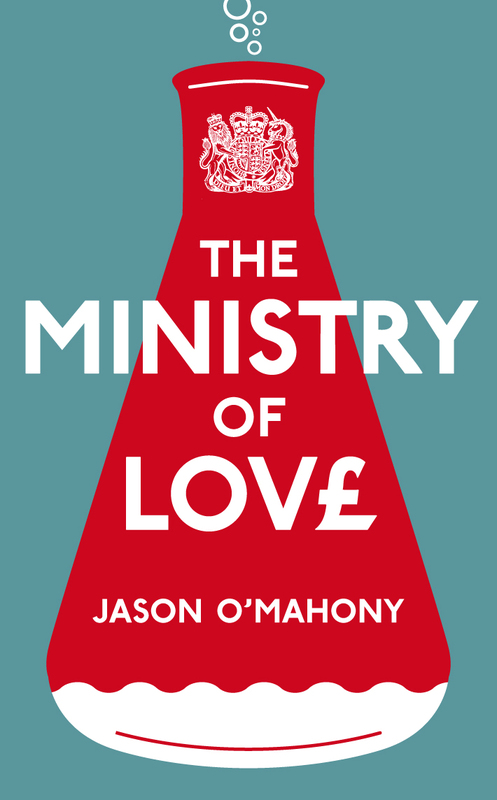 The Ministry of Love. Four years on. 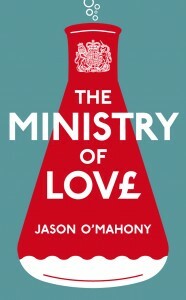 Four years ago today I published, as an eBook on Amazon, my first novel “The Ministry of Love”. Writing it taught me a huge amount, from the huge effort of writing a novel to the nightmare of typos and proofreading (A dragon finally slayed by the professional services of the excellent Elina Talvitie.) My apologies, by the way, to those who were subjected to the early editions before the fastidious Finn was deployed. It’s funny what makes you write a book. For me it started as a joke about the government finding love for people (the main plot of the novel) but also diverted into the reality that loneliness is a genuine affliction for many. I remember sitting in a restaurant with two beautiful women, one my girlfriend at the time, and as we had a very entertaining lunch I spotted a diminutive man, with a bad comb over and a moustache, dining alone. Occasionally he looked over at us, not in anger at our laughter, or jealousy at me. In his eyes I could see that he desperately wanted just a fraction of what I had. It was simple suffocating loneliness. It’s a theme that I think is even more relevant today. Anyway, you can buy it here. So, who to vote for? Posted by Jason O on Jun 21, 2015 in Irish Politics, Not quite serious. You’d be hard pressed to find a more cynical show about American politics than the two seasons and then cancelled series “Boss”, starring Kelsey Grammar. Grammar plays a Richard Daley style mayor of Chicago, and plays it very convincingly. Many say they struggle to watch Grammar without seeing Frasier Crane, but I find him a very watchable dramatic actor, and he certainly puts his acting chops on display here. He manages to be charming, impressive, cold, neurotic and terrifying in the role of Mayor Tom Kane. I’m not surprised that it was cancelled as a show, because it lacks charm. if there is one word to describe it, it’s bleak. The style’s similar to Glenn Close’s “Damage”, which was another great drama but was just so full of morally bankrupt or compromised people and completely devoid of humour. This is the problem with “Boss”. Having known as many politicians as I have known in my life, I just can’t believe that everyone in public office is an amoral, self-serving, unsmiling prick. Is US politics, and Chicago politics in particular different? Possibly, but I doubt it. The show lacked a genuine human angle. Like “House of Cards” that came after it, “Boss” works on the assumption that almost everybody in politics is on the make, including Kane’s icy wife played by Connie Nielsen in a proto-Claire Underwood. It also assumes that voters are very easily manipulated by pretty speeches and handsome candidates and soundbites. Indeed, it’s a very fashionable view in media circles (outside of political correspondents, who actually know better) and indeed with growing numbers of voters, but it just ain’t true. “Boss” is a watchable show, but does nothing to dispel the feeling that democracy is warping into something very very ugly. Referendum gave us a taste of real power. One of the more moving aspects of the marriage equality debate was the stories of people who were canvassing for the first time. Many approached doors or strangers on the street, leaflets shaking in their hands. After all, it’s a big deal engaging strangers in a social setting where often normal good manners don’t apply. But what’s most interesting about their experience is how different it actually is to the experience they would have had if they participated in day to day party politics. The marriage equality referendum campaign had a clear defined end and a clearly defined result, whether it was yay or nay. The campaigners, at least on the Yes side, knew what the outcome would be if they delivered a Yes vote. It’s a sharp contrast to normal political campaigns. Sure, one has polling day to aim towards and the definitive outcome of one’s candidate getting elected or not, but after polling day the cloudy murkiness of the Oireachtas closes in, enveloping even the most noble of aspiring candidates. You can get the finest of people elected, but then watch as Dáil Éireann tells them to cut out all that nonsense about changing things and shut the hell up and vote the way you’re told. The country is awash with bitter or simply disappointed people who helped a candidate get elected but then walked away as the alien bodysnatchers of Leinster House replaced your radical reformer with a forelock tugging lickspittle. But surely, some will say, the referendum disproves that. People got pro-equality candidates elected who then went on to get the bill passed. Primarily Labour, by the way, who should get the credit if there is any justice, but whom I suspect instead will discover this won’t be the last time we see Labour TDs bawling their eyes out at a count centre. The problem is that marriage equality is almost the giant pink elephant in the room because of its rarity. Every other reform, from abortion to political reform onwards, has been blocked by the stultifying dead hand of our parliamentary establishment. That’s what makes the events of May 22 so extraordinary, because once the bill had passed ordinary citizens took over and fought the campaign themselves. The parties, and indeed many party members played a role, but it wasn’t the parties that made so many citizens decide to fly home, or got so many young people to register to vote, or indeed so many first-timers to brave the cold canvassing door. I’m not convinced this would have passed if the parties alone had campaigned. Is anyone else? It’s true, this issue was laced with a once-in-a-generation raw emotion, but it was also about power. Ordinary people, from knocking on doors to wearing a Yes badge down the shops in a small village, had the power to make this happen, to convince friends, family and neighbours, get them registered, get them a lift down to the polling booth to cast actual legally binding ballots. Real power. And that’s the problem: all these new people will almost certainly never experience this sort of power again if they get involved in party politics and its guff. As we have learnt with abortion, political reform, direct provision, the rotting corpse of Irish politics doesn’t actually want to do anything about this stuff. If we want all these young and not so young who registered to vote and participated in politics for the first time to remain active, how do we do it? Tell them to attend their local cumann meeting? 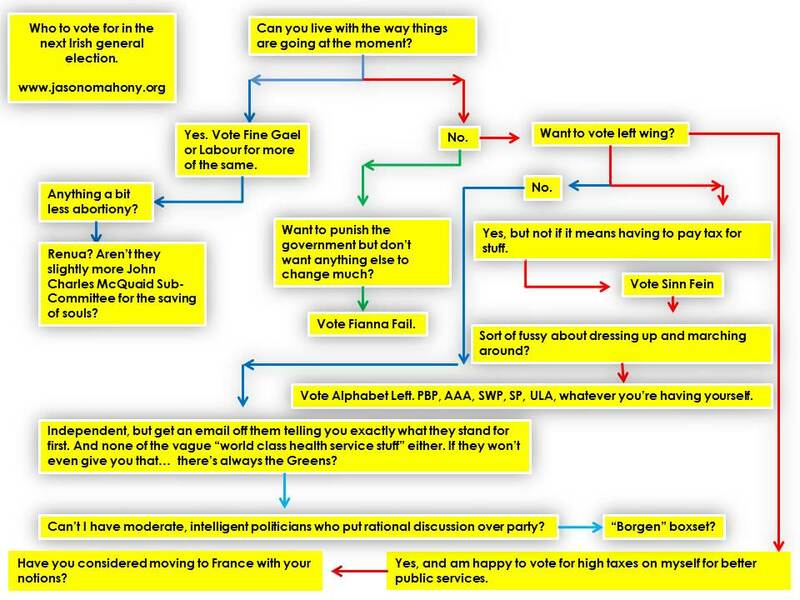 Get involved in the name-calling bunfights and shafting of Irish party politics? Let’s not forget the many politicians who seemed to take umbrage at being asked their opinion on the subject, as if it was none of their business and why were you bothering them? Abortion term limits? Banking lending policies? Will ye get away with yourself! I’ve three funerals alone to be attending this morning! The reality is that the May 22 referendum showed us what could happen if power is taken from politicians and given to the people. Why should calling a plebiscite or constitutional referendum only be the preserve of an Oireachtas that doesn’t really like all these high-falutin’ issues anyway? You want to keep all these people in politics? Give them the power to propose change directly to their fellow citizens. You know, the power TDs don’t like using anyway because it’s too “political”. California does it. So does Switzerland. Why not let all these enthusiastic new activists have a fair crack at the levers of power? After all, they own them. Ireland goes to war? A hypothetical scenario. 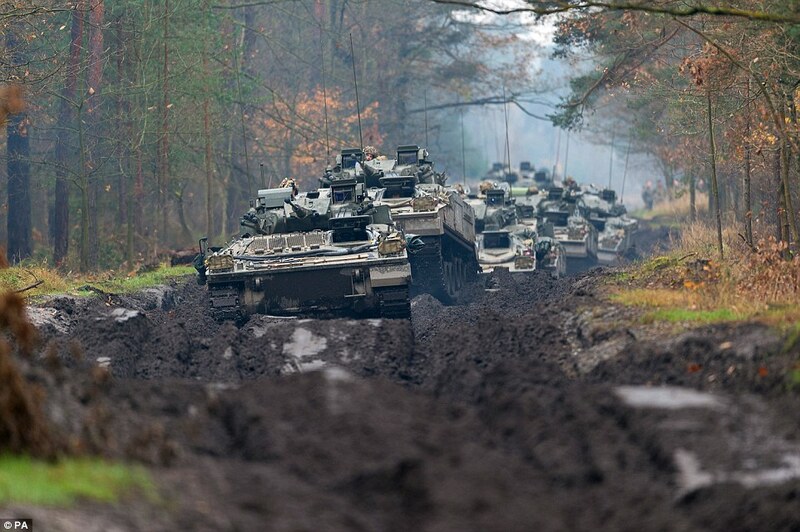 1st December 2017: Russian forces enter Estonia, Finland and Poland, taking NATO by surprise. Resistance in all three countries is stiff, and US, UK, French, German and Italian aircraft all provide air support. In the Dail, the Irish government condemns the invasion. Fianna Fail and Sinn Fein call for the United Nations “to act”. They are not specific on detail. 2nd December: it is now clear that a full Russian invasion is underway. 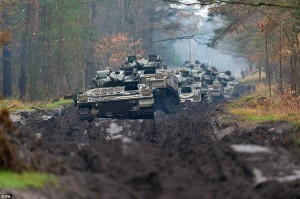 Media briefings in Moscow clarify that the purpose of the “pre-emptive defensive action” is to secure the Baltic states, Poland and Finland as neutral states outside of NATO. President Putin goes on TV to explain the action, and, speaking in fluent German, pledges that only those countries are combat areas, and that Russian forces will not invade other European countries.